Elements Applied: Each plant’s part is applied in dried form, except the root. Used For: The remedy is applied for treating nervous system conditions, improving stomach functionality, treating constipation, stimulating the organism and treating scurvy. It is highly valued due to its aroma and bitter taste. Betony is beneficial for the central nervous system, stimulating its activity and providing necessary relaxation. 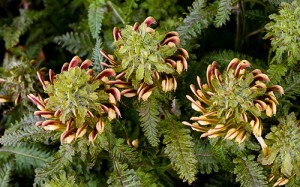 The herb is applied as an aid is nervous system weakness, accompanied by tension and anxiety. It is helpful in neuralgia and headaches, caused by nervous disorders, and particularly those which occur due elevated blood pressure. Conventionally the remedy is applied for insect and snake bites, delirium, helminthes, tuberculosis, influenza, colds, dropsy, nervous conditions of different types, pains, colic, gout, convulsions, palsy, jaundice, stomach pains, indigestion, heartburn, headaches, and neuralgia. Commonly mixed with: The remedy is used together with Skullcap for headaches due to nervous disorders. To treat headaches accompanied with elevated blood pressure the herb is used with hypotensive herbal remedies. Preparation and Intake: To make and infusion, take 1-2 teaspoons of herb extract and fill them up with a glass of boiling water. Let it stay for 15 minutes. The infusion is applied internally thrice a day. In form of tincture the remedy is used in a dose of 2-6 ml thrice a day. Safety: There is no data concerning the herb’s safety level. It is possible that it may interact with a chemical medicine you take. Don’t use this or any remedy without proper medical consultation.